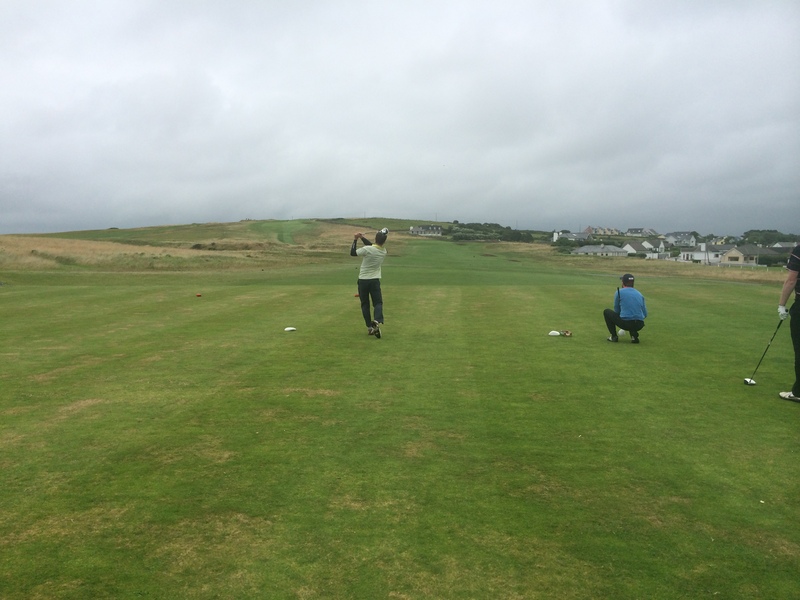 The Inaugural Social Media Links Challenge took place from Tuesday 29th – Thursday 31st July 2014 at Carne Golf Links, County Sligo Golf Club & Enniscrone Golf Club. 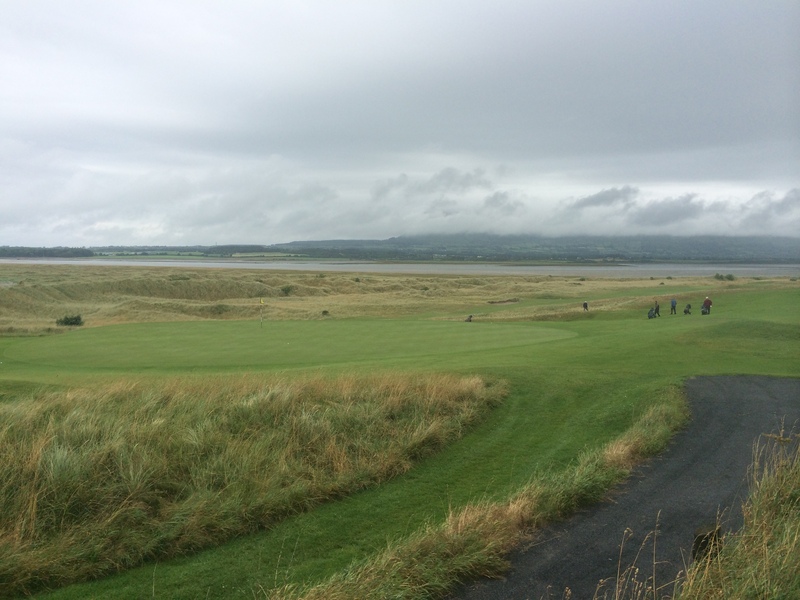 Fighting the interest in the Galway Races the same week, numbers were a little lower than hoped for but a decent crowd of enthusiastic golfers made their way west for a true test of golf on some of the finest links courses on the Emerald Isle. 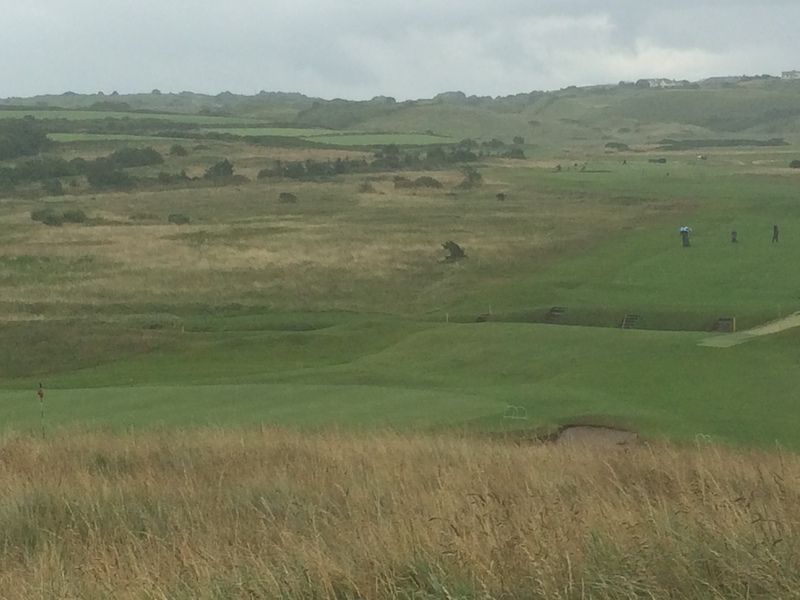 Day 1 took us to one of the westernmost points in Ireland (and probably one of the westernmost golf courses in the country), the amazing Carne Golf Links. 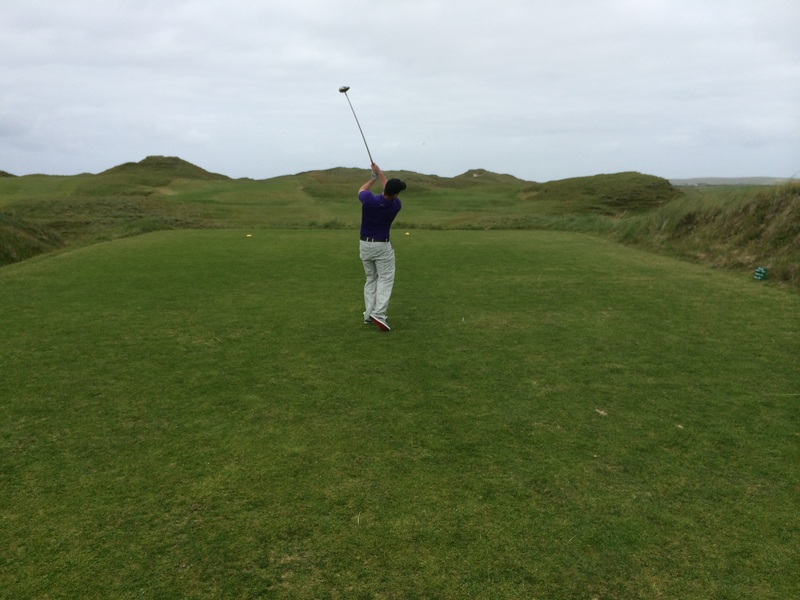 This course is set in one of the most beautiful spots in the world, Belmullet, which some of the most awe-inspiring golf holes to be seen anywhere. 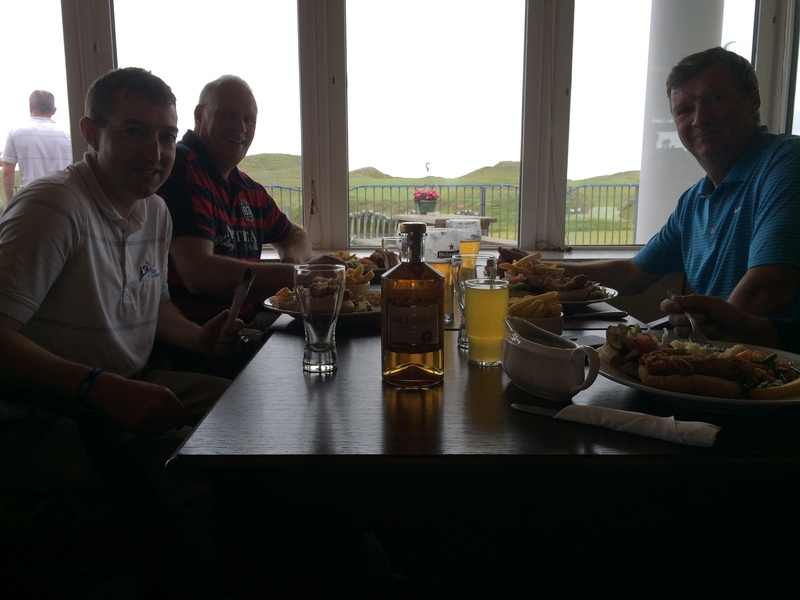 A decent links day with some wind but not a gale as can blow in off the Atlantic from what we were told! The leaders on Day 1 were the Deasy brothers, Liam and John, who shot a great 47 points to lead by 3 from Conor Sheehan & Niall Lenihan and Irene & Damian Bolger on 44 points. 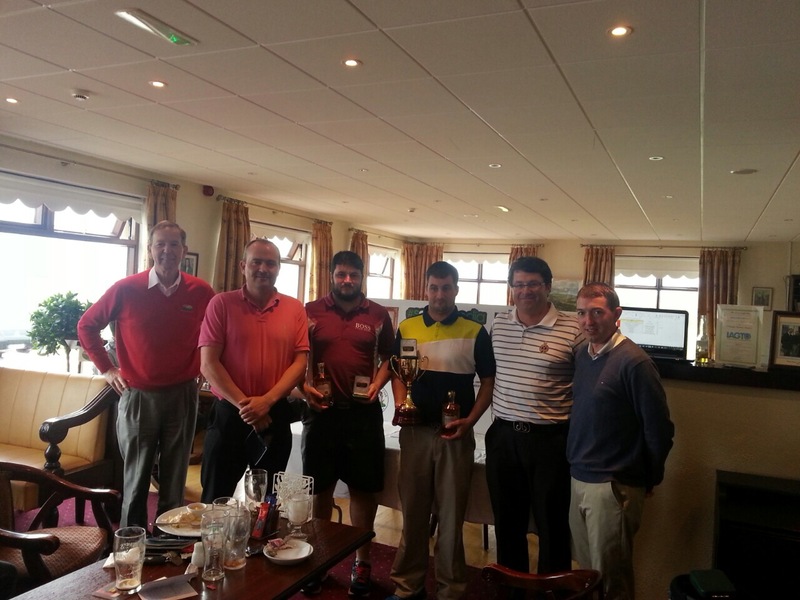 Other notable scores were Conor Galvin & Gary Cormican on 42 points and Fintan Ward & Brian McMahon on 40. For most of the teams it was back to Ballina and to the Auld Shebeen for the latter part of the evening, with a bit of help from Muldooney Whiskey Liqueur! There were some groggy heads the next morning at breakfast in the Downhill Inn hotel in Ballina, but everybody was ready for the test that would be provided by County Sligo Golf Club. The rain dominated much of the round but when the clouds cleared on the back 9 it was a complete joy to be out on the links. Best score of the day again with to the Deasy brothers, shooting 42 points in trying conditions, while the next best was Fintan & Brian on 41 which catapulted them into a tie for 3rd place with the Bolgers. Conor & Niall shot 38 points to hang onto 2nd place but now 7 shots behind Liam and John. 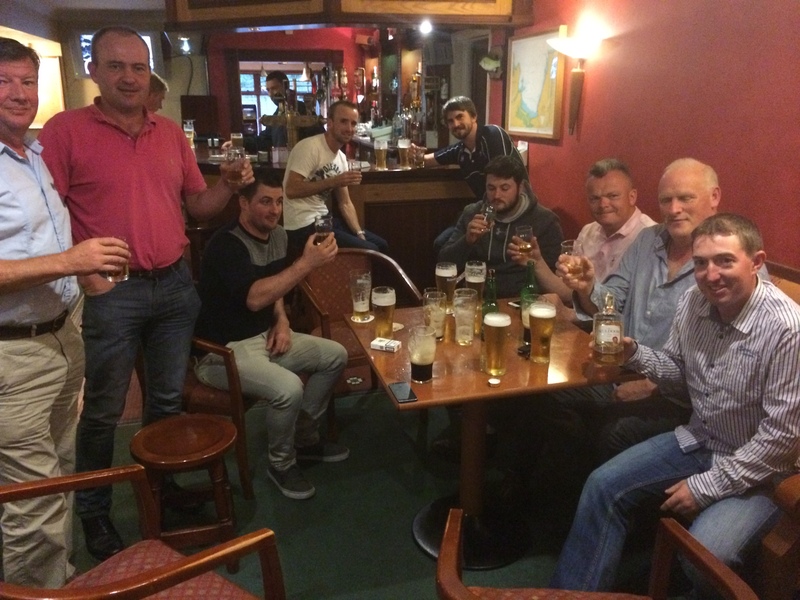 Another good night in Ballina was had with the Auld Shebeen becoming our official 19th Hole! 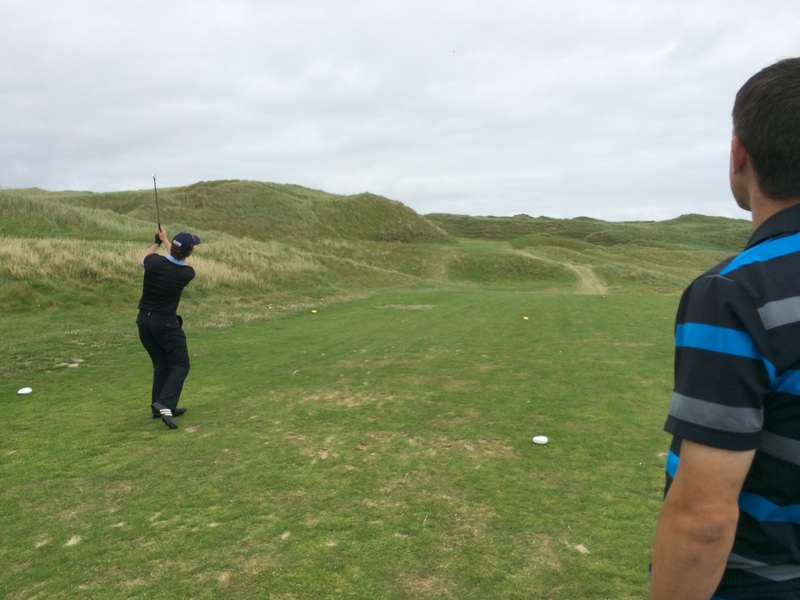 The final round was held at the excellent Enniscrone GC and we were given a very warm welcome on arrival on Thursday 31st July, by the staff, members and the weather too! The wind was light but the sand dunes alone would provide a stern test anyway. A thoroughly enjoyable day was had by all and we were delighted that Honourary Secretary, Albie O’Connor, could attend the Prize Giving after golf. The Deasy brothers again shot the best score on the day, 39 points, for a 13 shot victory over Tony Regazzoli & Tom Kennedy, who managed to climb the leaderboard with 38 points on the final day. Third place went to Fintan & Brian while Conor & Niall took 4th and the Bolgers claimed 5th place. 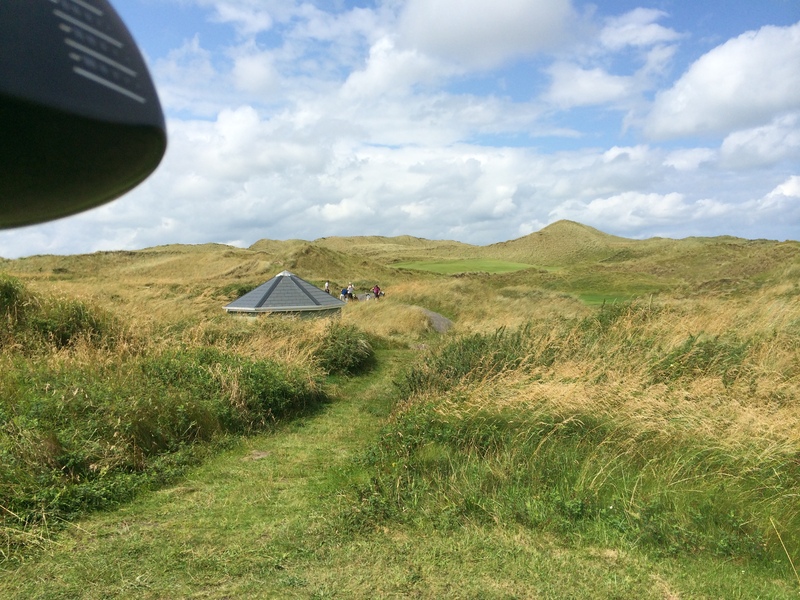 Three tremendous days of links golf were over and each and every had enjoyed themselves immensely – Carne Golf Links, County Sligo GC & Enniscrone GC had provided three fantastic tests and from the feedback we received a lot of the players will be returning to play golf in the West very soon! The overall winner’s prize included the SM Links Challenge Trophy, a Golf Holiday to Portugal for 4 people courtesy of Tournament Partner Golf Voyager, 2 bottles of Muldoon Whiskey and Free Golf to Defend the Title in 2015! 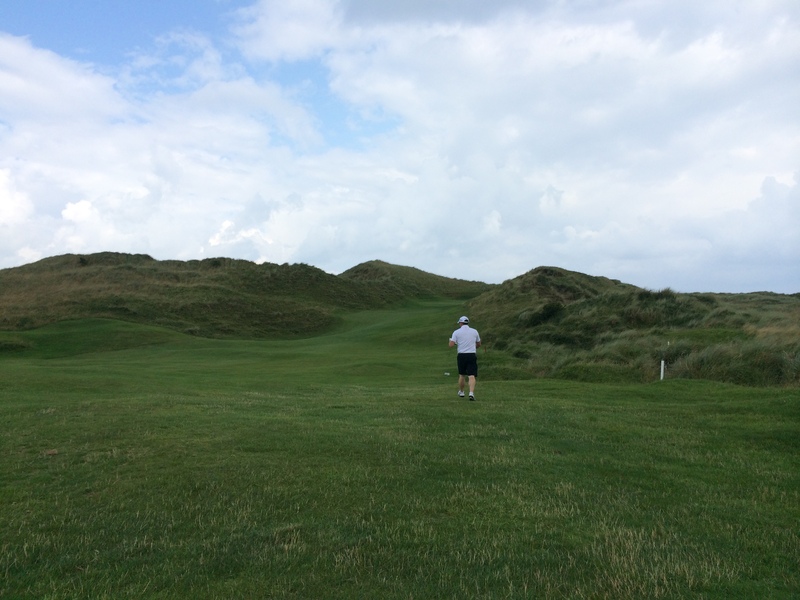 Many thanks must go to all Tournament Partners & Sponsors – Golf Voyager, Muldoon Irish Whiskey, PGE Golf, Just Treats Golf, Robinson Squash’d and our 3 venues, Carne Golf Links, Co Sligo & Enniscrone! 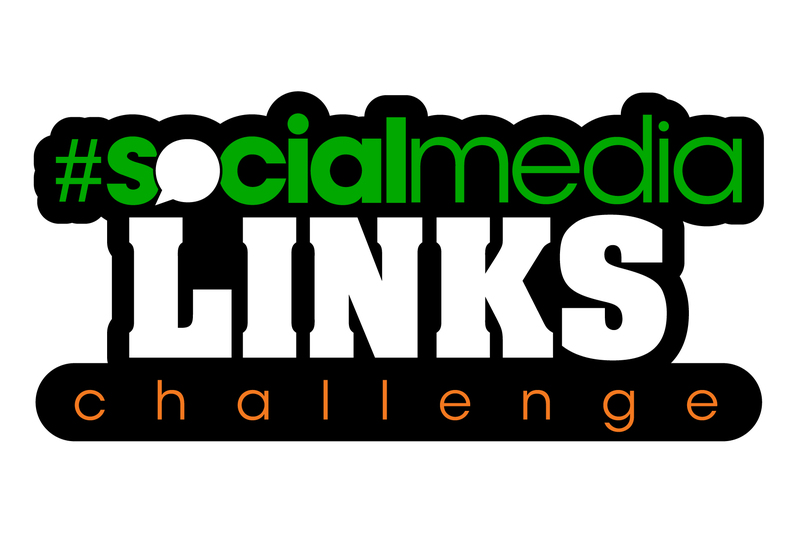 Plans are already being put together for the 2015 Social Media Links Challenge, if you would like to enter drop us a line on smlinkschallenge@gmail.com, give us a follow on Twitter or like our Facebook page for updates! 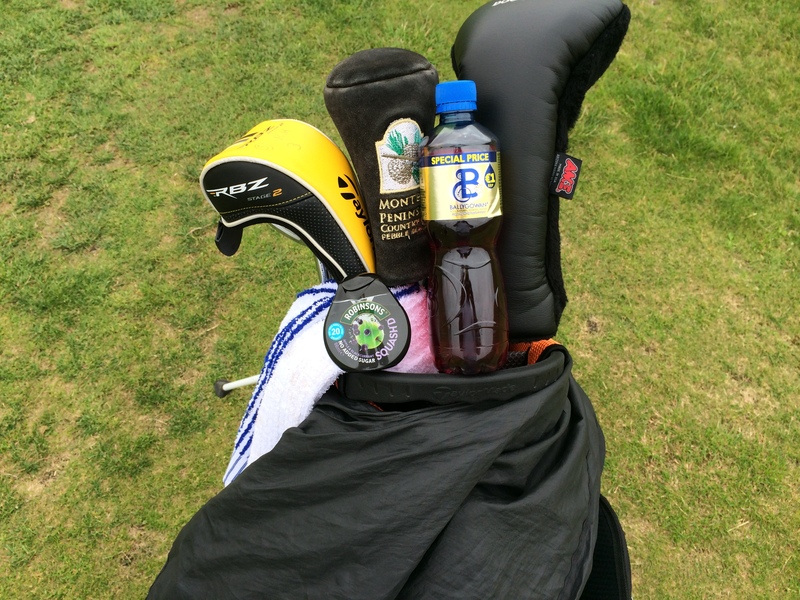 Hope to see you on the links next year! !